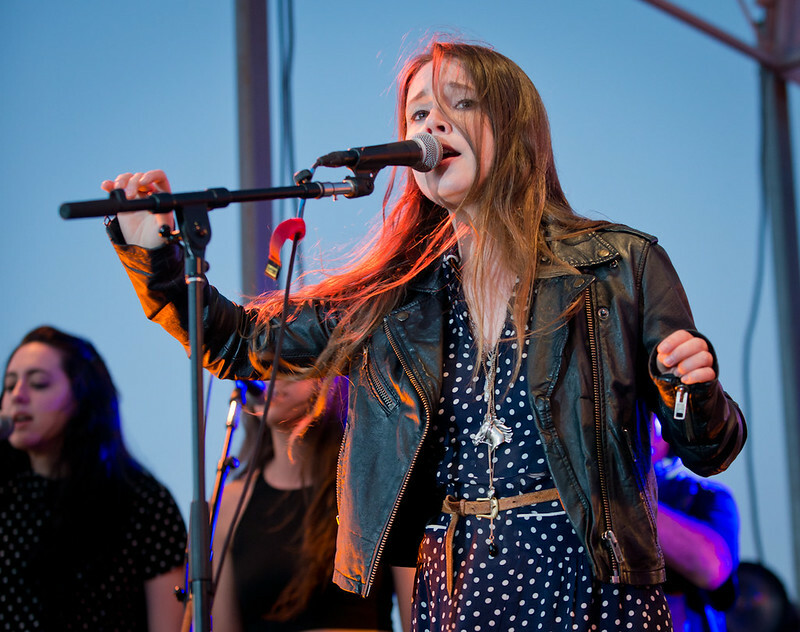 Monica Birkenes of Mr. Little Jeans performs during Santa Monica's Annual Twilight Concert Series. Thursday night during the Annual Twilight Concert Series presented by Myspace, Norwegian singer Mr. Little Jeans (aka: Monica Birkenes) fought technical issues in a night that would've been a magical show overlooking the beach and the neon glow of the Santa Monica pier. Sound issues, that were no fault of her own, also added to the rough outing. Monica couldn't hear herself on her monitors, often leaning forward or running towards the front of the stage to hear herself on the speakers. Off stage, I actually overheard staffers coming from the beach, unable to hear over the loud bass, question the audio guy, "I don't think the sound guy know's what he's doing." 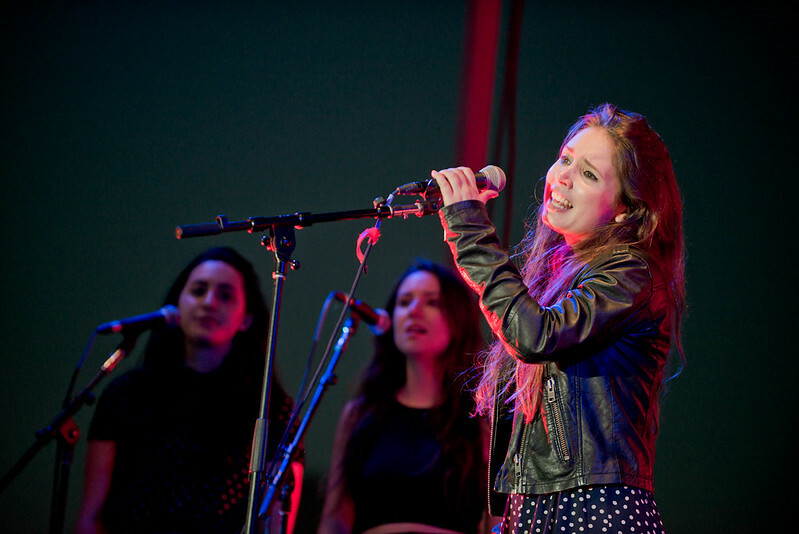 Mr. Little Jeans performs on the Santa Monica Pier. But despite the technical issues, Mr. Little Jeans' inspiring performance highlighted her dreamscape melodies and lush vocals as Monica soldiered through her set performing hit singles like "Oh Sailor" and "Runaway," proving why she's becoming one of the most buzzed about artists coming out of Norway. During the night, she also told the crowd about her first time visiting the Santa Monica Pier and how she tried to help a street performer by lending her voice to no avail. She also revealed that her highly anticipated debut album will be released early next year. Monica actually relocated to Hollywood to record the full-length album with producers John Hill (Shakira, Santigold) and Tim Anderson (Ima Robot, Dead Man's Bones).